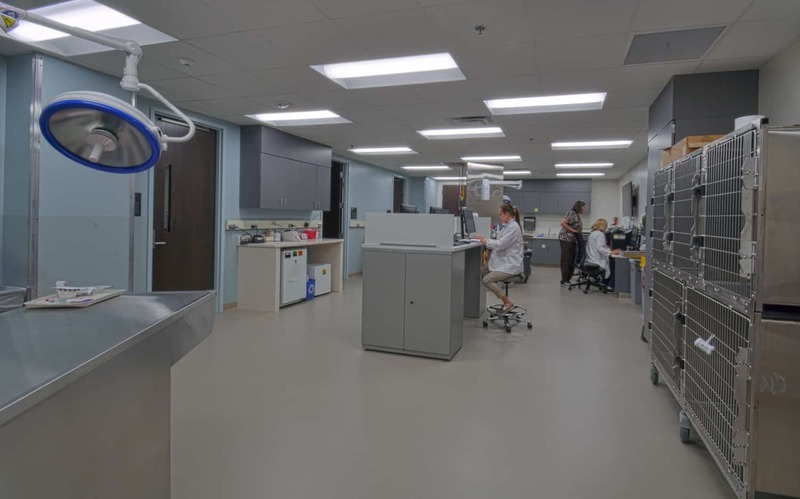 An increase in patient traffic from a rollout of a new pet wellness plan for University of Minnesota faculty and students prompted an update of the University’s veterinary clinic to better support both educational and exam services. A comfortable, yet highly functional, patient experience was top priority. The front entry was repositioned to face the parking lot for quicker and easier wayfinding, and program area was added to the interior by expanding exterior walls. 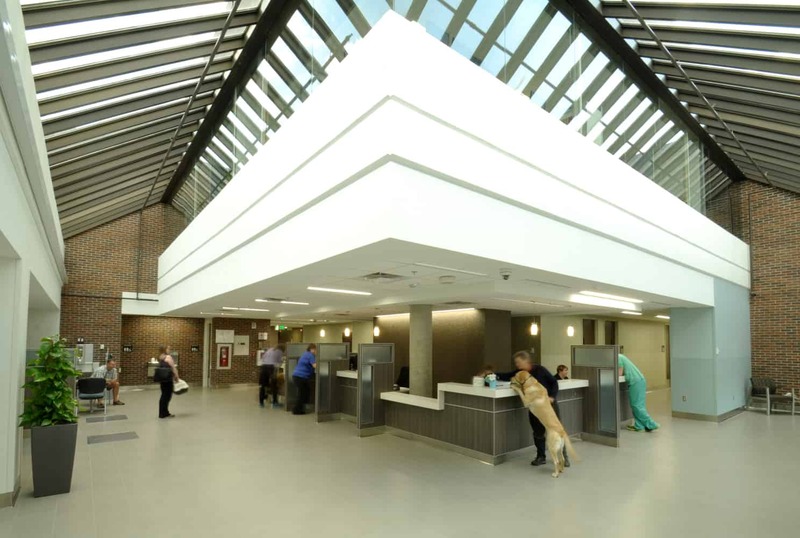 Inside, newly designated canine and feline waiting areas separate species to create a less stressful environment for both pets and owners. A private “comfort room” with a side exit is available for families in difficult situations or mourning. 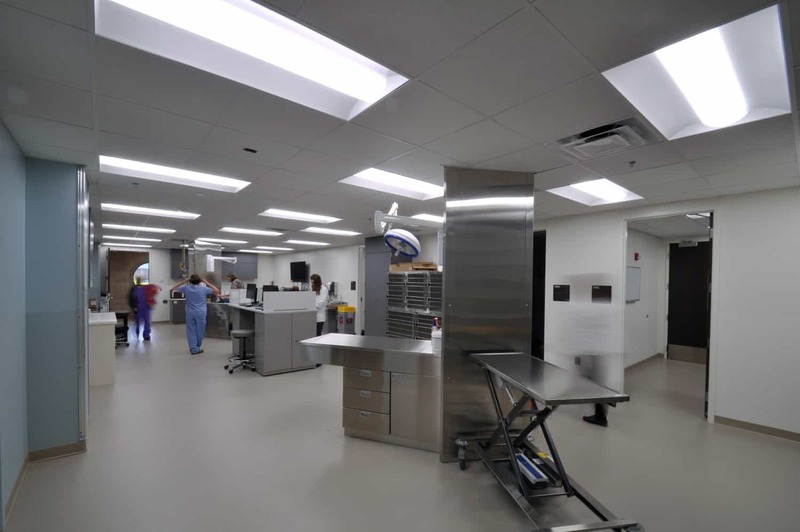 Seven new exam rooms encircle a central multipurpose treatment room. 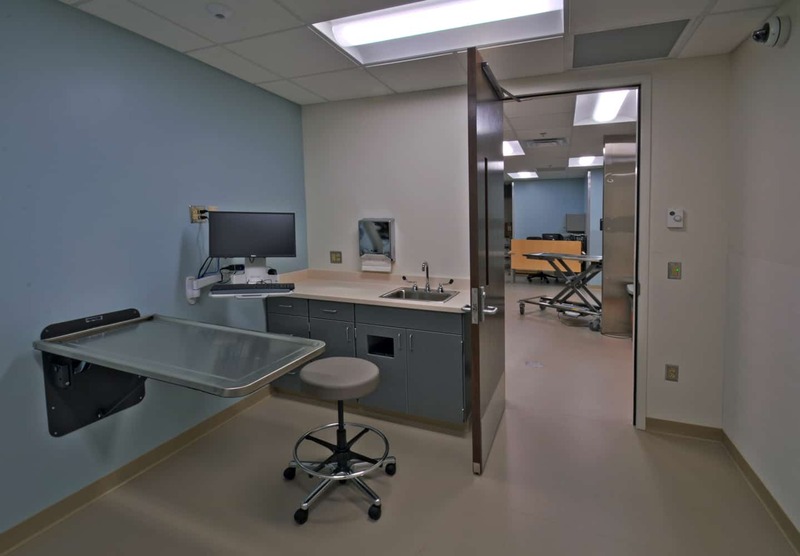 Two exam rooms are designated for teaching and equipped to record appointments for students and faculty doctors to review at a later time. Wall-mounted exam tables, monitors, and keyboards retract, raise, and swivel to best accommodate the size of each patient. 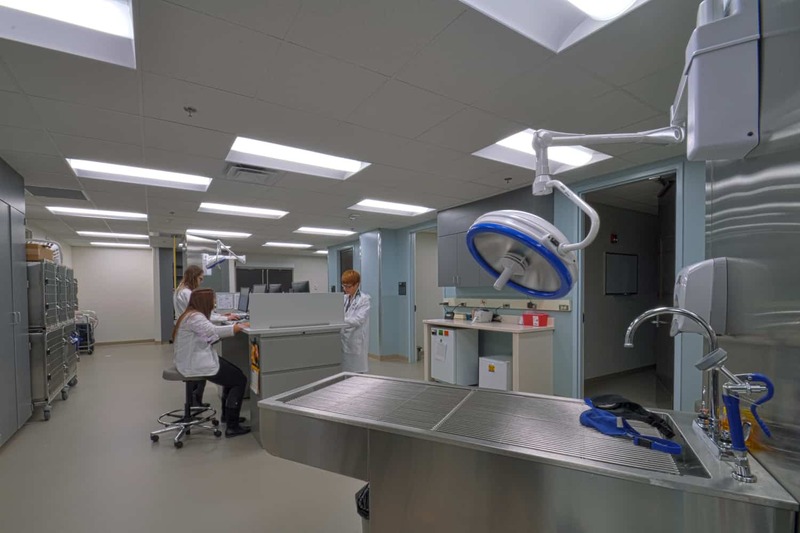 Durable materials in a cool color palette were selected to resist high abuse, animal-related wear and tear while maintaining the clean standards necessary in a medical facility.